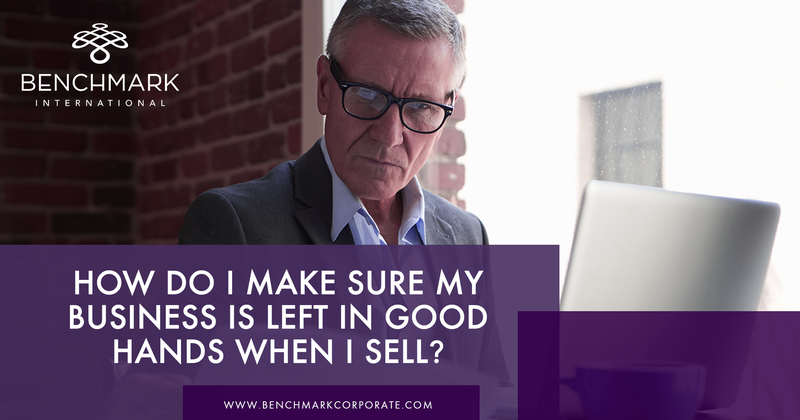 How Do I Make Sure my Business is Left in Good Hands When I Sell? Partnering with the best team of experts to help you sell your business is the most important thing you can do when seeking a buyer you can trust. Not making the right choice can cost you time and money. Because you want to sell at the best time, you don’t want to waste time talking to the wrong people. 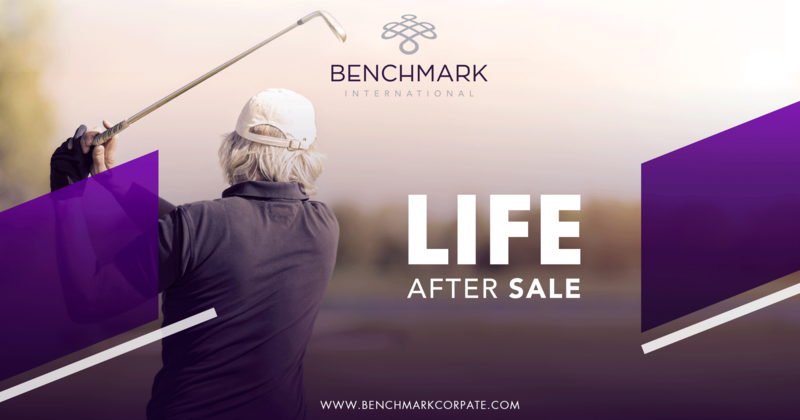 By working with an experienced and globally renowned mergers and acquisitions team such as Benchmark International, you can mitigate the risk of letting an under-qualified broker deal with the sale of your company. You’ll want to make sure the firm you choose has highly specialized experts in your area of industry and the kind of global connections that can find the best buyer for your business. Stay involved in the process. Even if you work with an experienced firm to facilitate the sale, you want your relationship to be a partnership. They are going to work hard for you, but you know your business better than anybody. Finding a team that wants you to remain engaged in the process will result in a sale you can feel good about. By staying involved, you are also giving prospective buyers added confidence in their purchase. It is crucial that you have an idea of your company value before putting your business on the market. Any reliable buyer will expect to be given accurate financials about your business. It is recommended that you seek the help of an organization that has the expertise in achieving maximum values for businesses. They will help you assess the value, fix weaknesses, boost strengths, and form your ideal business exit strategy for maximum success. Represent your company accurately when dealing with prospective buyers. Inflating numbers or trying to cover up issues can result in a failed deal when the actual financials come under review. If you want to trust the buyer with your business, you should expect that they would want to trust you, as well. Being adequately prepared is also an important step in selling to the right buyer. Make sure you have all the documentation in order regarding finances, profitability, real estate, and staffing. Make sure inventory is fulfilled, records are current, and taxes are paid. Being prepared can affect the price your business will command in the marketplace, as well as the level of interest from quality buyers. Do not get so focused on the sale of your business that you are not thinking about the transition period. An experienced partner can help you keep your focus in the right place and ensure that you and the buyer are on the same page, and both are properly prepared for the transition. There is plenty to consider when taking on the daunting task of selling a business. Keep in mind that while you are an expert in your particular business, arranging its sale may be beyond your range of expertise. 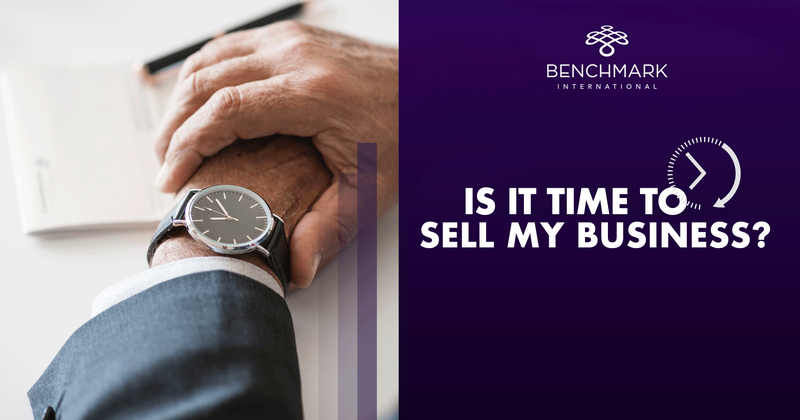 Relying on a knowledgeable team such as your partners at Benchmark International can ensure that you get the value you deserve and sell to a buyer you can trust. Are you considering selling your company and retiring? Once you have an exit strategy planned, it is time to think about where you will spend the best years of your life. 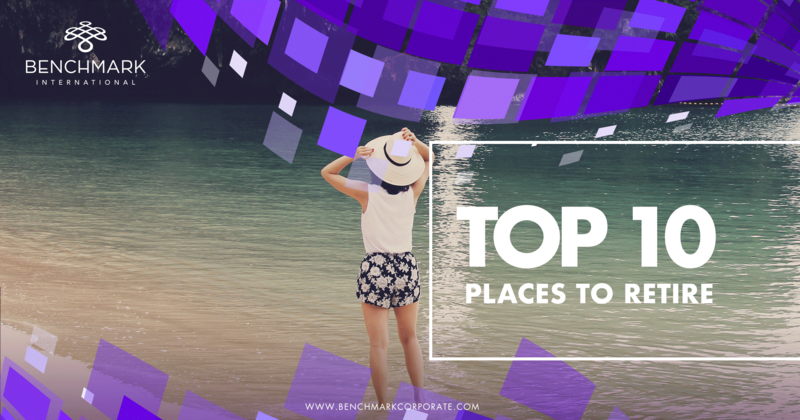 We have compiled a list of inviting destinations to inspire you to make the most of your retirement. The gorgeous French Riveria is home to this ultra-glamourous city-state that is often noted as one of the best and safest places in the world to live. Settle in among the worlds VIPs and high rollers in this tax haven of luxurious real estate and natural Mediterranean beauty. The climate is quite temperate, the location is in close proximity to all of Europe, and the healthcare is first-rate. Monaco has quite the gambling and cultural scene, and you can expect to be surrounded by luxury homes, vehicles and yachts. The scenery in Croatia is breathtaking along the crystal clear waters of the Adriatic Sea, with lush mountainside forests and spectacular castles. The country offers a rich culture, with Gothic and Renaissance architecture showcasing a unique background of centuries of heritage. The local cuisine is delectable and the country is also boasts a renowned wine region. From skiing to sailing to diving, there is a wealth of things to do while you enjoy all four seasons. One can live quite well in this culinary paradise on very little money. Rent is inexpensive, the area is safe, English is widely spoken, and the scenery is rich with churches, pagodas, temples, mosques, and British-colonial buildings. The cost of healthcare is also low. Malaysia is one of the top five countries in the world for medical tourism with several private hospitals that are internationally accredited. The Cayman Islands may be one of the most relaxing countries in the world in which to retire. Spend your days basking on pristine white beaches, indulging in the hundreds of restaurants, and taking in the vibrant cultural scene. The tropical climate, clean air, and high quality medical care make the country ideal for a healthy, stress-free lifestyle. It is also quite possibly the safest of the Caribbean Islands, with one of the lowest violent crime rates in the world. The tropical climate is a big attraction for anyone looking to move to Costa Rica. But the region offers much more to consider. Gorgeous beaches, rainforests, and mountains compliment the bustling cities and quaint towns. There is excellent medical care, modern infrastructure, a rich culture, and a laid-back way of life. It is truly one of the most peaceful places in the world. You’ll also find a very welcoming expat community and irresistible real estate opportunities. Enjoy a relaxed Caribbean life balanced with the benefits of a growing economy. The country’s infrastructure has improved greatly over the past 10 years. It has two international airports to accommodate convenient travel needs. Plus, the area offers a uniquely sophisticated European lifestyle with incredible dining, shopping, culture, and history. Whether you’re strolling the cobblestone streets alongside glass skyscrapers, or sailing around the thousands of miles of aquamarine coastline, Santo Domingo is a place of worldliness, charm and excitement. 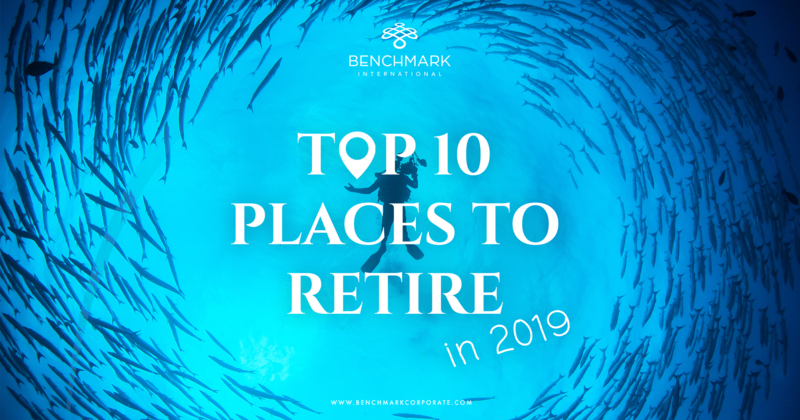 Did you see the Top 10 Places to Retire in 2018? Located in central Italy, Abruzzo is comprised of beautiful small cities that are abundant with culture and warm, friendly faces. Considered the most romantic corner of Italy, the sprawling countryside is sprinkled with vineyards, orchards and groves. You’ll have access to amazing cuisine, majestic castles, and picturesque parks. Beaches and mountains are both nearby, and it is only a one-hour drive to the metropolis of Rome. Enjoy a warm and sunny climate along with a luxurious lifestyle on the Mediterranean island nation of Malta. It is Europe’s smallest country but it is big on culture and things to do. Imagine yourself dining al fresco along the coast while basking in beautiful sunsets, or sailing around the islands while taking in the enchanting architecture. Malta is also home to many organized groups for expats, offering horseback-riding clubs, running clubs, dinner nights, and more. BelIf you’re seeking an extravagant lifestyle, Dubai is definitely one destination to consider. Every inch of this city is built with luxury in mind. Make your home at the top of one of the world’s most majestic skyscrapers and overlook this spectacular oasis in the desert. Or settle into a luxury villa in a gated community on iconic Palm Jumeirah island. Here you’ll find plenty of glitz and glamour, a popular boardwalk, beach clubs, spas and a nightlife scene. Dubai is also a great location for making new business connections. If you’re ready to start planning your retirement, contact Benchmark International for help with your exit strategy. It takes time to sell and for the first time since emerging from the Great Recession, certainty about whether or not the later part of the new year will be a good time to sell- the best ever – is down. Anyone who says they can predict these markets is a fool. But the probability of a turn is certainly high and increasing as we begin this year. The good news is that the signs indicate not an immediate downturn but rather one that can still be beaten to the finish line. Selling a business should take six months to a year. Thus anyone moving out now on a process should be able to take advantage of these good times – if they get started fast and, more than ever, move diligently and place a higher emphasis on certainty of close when selecting their winning bidder. In a December Duke University poll, almost half of responding U.S. CFO’s stated that they believed a recession was likely to occur in 2019. Even more compelling, more than 80% of those CFO’s felt recession would strike by the end of 2020.Right or wrong; the respondents to this poll are the key influencers of the amount of M&A activity generated by strategic buyers – and those most responsible for bad deals. If the economy does sour, or they simply believeit is going to sour, they will not be sticking their necks out for adventuresome acquisitions at record multiples. The public markets provide several signs. The first is the relative comparison of the large caps, to the midcaps, and then to the small caps. The M&A market for privately-held companies can essentially be seen as a microcap extension of the public markets. While we all know the public markets did not do well last year, what most have not commented upon is that in the last four months of the year, according to the Wall Street Journal, (2) large caps were down 5.5%, midcaps were down 8.6% and small caps are down 16.4% going into the last trading week of the year.We’ve not yet seen the extension of this extrapolated line into the private markets but one must wonder how long the trickle-down effect will take. Smaller companies tend to do well at the beginning of an upturn and larger cap companies do better at the end. Debt is becoming a more attractive alternative for investors. This will be problematic to the sellers of businesses for various reasons. Most obviously, M&A buyers are large consumers of debt. They use it to buy companies. If they must pay more for their debt, they have less money left in their accounts to offer sellers. Less obviously but probably more significantly, the historically abysmal returns debt has offered for much of the last decade have led many typical debt investors, including insurance companies and pension funds, to provide equity to private equity funds. Flush with this extra cash, PE funds have been on a buying spree which is commonly stated to be the driving force behind today’s frothy valuations. As those investors shift back to the more normalized bond markets, private equity will have less energy and vigor for aggressive bidding. The financial press seems to be of the mind that the artificial boost to strategic buyers provided by the recent tax cuts has run its course. Is this a fair assessment or simply “Trump-bashing”? We have no idea but we all know that in the markets, sentiment is often more important than reality. Perhaps the fact that 2018 saw increasingly attractive results for sellers was a result of those tax cuts carrying the bull market on around for one last lap. Again, we are not talking certainties here, just indications and probabilities. The strong dollar has dampened the ability of foreign buyers to compete in the US markets.With yet another class of buyers lowering their activity levels, it may not be long before the laws of supply and demand kick in and the equilibrium point on the old supply and demand curves shifts down and to the left. China has largely gone home. As 2018 proceeded, the Chinese government tightened its grip on the export of capital. In the last half of 2018, the US government began to make Chinese investors feel unwelcome as well. Numerous high-profile deals were killed in a very visible fashion as a result of regulatory interference on both sides of the Pacific. These included, most notably, the purchase of Recurrent Energy Developments operations by Shenzhen Energy in August and then Broadcom’s acquisition of Qualcomm. According to CNN Money, Chinese investment in the US fell by 92% between the first half of 2018 and the first half of 2017 – 92% - and has been declining steadily since the second half of 2016.Add to this the late 2018 US-China financial cold war and China’s slowly increasing realization that it has been splurging on debt that is now coming due and proving hard to pay down, and the spigot is now approaching the closed position. Forecasted growth of companies in the US public markets has taken a definite downturn. The S&P 500 saw collective growth of 7.3% in sales and 8.2% in profit year-over-year in the third quarter. The Wall Street Journal has been consistently predicting over the last three months that those same figures in a year will have fallen to 5.4% and 4.1% respectively.While the private markets are not the public markets, both are selling that intangible asset known as future cash flows and if buyers feel the big companies can’t continue to deliver outsized returns, they are likely to share at least some of that sentiment when it comes to the private markets. Divided government might bring an end to the pro-business approach demonstrated over the last two years. The people that matter state that decreased regulation, lower taxes, and a more tolerant enforcement environment have benefited their businesses and increased the prices they are willing to pay for companies. But a period of more compromise is now inevitable and the uncertainty of the 2020 elections will likely only grow and bring with it a sense of increased risk that will affect valuations. All good things must come to an end. We have enjoyed a ten-year bull market in M&A, both private and public. That qualifies as “long in the tooth” to be as polite as possible. It seems that 4% GDP growth is not sustainable. Unemployment can’t go any lower. Further tax decreases seem unlikely. The federal deficit and debt are growing. Interest rates are not likely to drop. Confidence and sentiment could not be higher than they were three months ago and are in fact a bit lower now than they were then. How Can I sell the Business I Love ? Bringing a business to success is an emotional journey from start to finish. Years are spent making sacrifices and taking tough decisions. So, as you get closer to retirement age, choosing to sell your business can be a bittersweet step to take. You raised your business like a child, and you have grown attached to it. How do you begin to make the decision to sell it? First and foremost, you need to know your reasons for selling. Perhaps, you started your own business, so you could take control of your life and call the shots. Maybe, it was to provide a better life for you or your family. If you are reaching retirement age, then you have probably made a full circle and came back to those initial reasons. Those same motivators can be the drivers behind your ultimate decision to develop a strategy so that you can exit your company. You love your business, but you love your family too. Perhaps you feel it’s come time to refocus your time and energy on your personal life. That’s okay, and you have several options at your disposal. Balancing work life and home life can be a challenge. Don’t let your obligations to your business keep you from fulfilling your goals at home. If the decision to sell is on the table, there are a few paths you can take. A partial sale of your business is one option. This option is intriguing if you aren’t sure if you are ready to leave your business entirely. Bringing in a strategic buyer for your business that can begin working alongside you and help your business grow to its full potential will give you more time for your personal goals, while still allowing you to stay involved in your business. You can take on a less rigorous role without having to step down completely. Strategic buyers are looking for a synergistic partnership that will allow them to either expand their footprint within a particular market, or one that will give them the chance to break into a new industry. Your business will add value to a strategic buyer’s plans , so they will want to see success in your company. This means your incentives will be aligned and if your company isn’t successful, neither is theirs. Another option is a sale with an eventual complete exit. A complete sale does not have to happen immediately. You can slowly transition out of your business over time. This is a good option if you want to retire and leave your business completely, but care about your employees and the legacy you’ve left behind after you are gone. A buyer who buys your business out right is called a financial buyer. Your business is an investment, and this buyer will need to have a management team in place, most likely your management team. If you want to make sure your business is going to be okay without you, it’s a good idea to transition with the business, so your employees can get acclimated to the changes as well. Also, if your employees see your commitment and support to transitioning through the changes with them, it will help alleviate doubts they might be having about the sale themselves. When you decide to leave the business you love, you want to make sure you are leaving it in the right hands, and you want to make sure the employees who helped you build it are in good hands as well. One thing you definitely should not do is tackle a sale on your own. If you are vested in focusing on selling your business and neglect your daily responsibilities within the business itself, you can potentially harm your business because your focus has shifted. Successfully completing a sale takes a great deal of time and understanding of the mergers and acquisitions transaction process. Patience is a virtue, and selling your business will take a little time, but with the right team in place, you can get maximum value for your company. As a business owner, you sacrifice a great deal of time and hard work to bring your business to success. As the business grows, your workload does too. You start in the front driving innovation and sales, then you end up in the shadows working on daily operational tasks, often obligatory, just to keep things afloat. You know you’re needed to keep the business running, but you want to make sure it continues to operate efficiently if you aren’t around. There are a myriad of reasons why you might look to sell your company: retirement, further resources are required to grow, or it is an opportunistic time. Whatever the reason, this is likely to be the pinnacle of your career as the amount of time and money invested into your business will come to fruition when it sells, securing the future for you and your family. But what happens after a sale? The business which you have invested years into, and the place where you spent the majority of your time, has passed on to somebody else. You may have made a tidy sum of money from the sale, which many people would be satisfied with as they may never have to work again and be able to live in the lap of luxury, but once the holiday of a lifetime has been taken, what then? And what about how the company will thrive going forward? This is maybe something that you have grown from the beginning, and you want to see its continued success, as well as ensure the future of your employees who have been loyal to you. 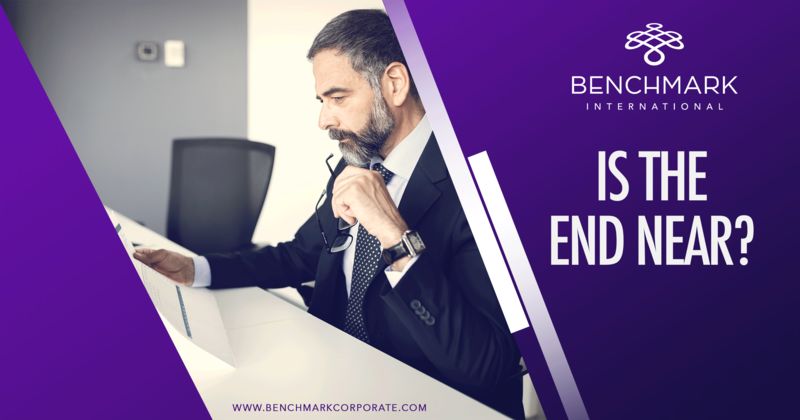 At Benchmark International, we understand that there is life after the sale of a business and so structure a shareholder’s exit to suit both them, and the welfare of the company going forward. The following are companies which Benchmark International has sold and structured the deal to allow for a successful life after a sale for both the shareholder(s) and the business. ROC Northwest had been established for nine years before the shareholders, Hilary and Glyn Waterhouse, decided to sell. They had built up a company which provided education, residential, and domiciliary care services to young people with emotional and behavioural difficulties, autism spectrum disorders, learning and physical disabilities, and those with challenging behaviour issues, from seven properties throughout the north west of the UK. The shareholders at ROC Northwest wished to sell the company as they were looking at other business opportunities and wanted to spend more time together as a family. As this was the case, Benchmark International negotiated a seven figure deal with the majority forming a cash payment on completion. Now, Hilary has been able to purchase an equine business and has a total of eleven horses, growing from two. Retirement is a time of life where all the work people have completed comes to fruition. Most people live on pension plans that require careful attention to detail and proper budgeting to ensure they last throughout retirement. However, a small number of retirees have the means to retire and live in luxury. For these people, the world is their oyster, and they can go wherever their hearts desire. Here is a breakdown of ten of the world’s most lavish retirement destinations. 1) MONACO – France borders the Principality of Monaco on three sides, and the Mediterranean borders the small country on one side. The Principality of Monaco has an area of approximately 2.02km (0.78 mi) and more than 19,000 inhabitants per square kilometer, which makes it the second-smallest independent, and most densely populated, sovereign state. Getting around Monaco is easy as there is plenty of public transportation and the country is small on foot as well. Monaco offers world-class entertainment with the Formula 1 Grand Prix, the Monaco Yacht Show, and the Casino de Monte Cristo. Real estate in this small locale is coveted by many because of its proximity and easy access to the rest of Europe. Moreover, Monaco is known for its relaxed tax laws and its secure banks. Folks looking to retire here are sure to enjoy the finer things life has to offer. 2) DUBAI – Dubbed as one of the world’s cleanest cities, Dubai is a hot destination for travelers from all corners of the globe. In 2016, Dubai was the fourth most visited city in the world. The skyline boasts impressive buildings, including the Burj Khalifa, which is the tallest manmade structure in the world. Additionally, the city offers more than 70 shopping centers, several water parks, camel rides, the world’s largest choreographed fountain system set to music, and other tourist attractions for visitors. Dubai does not offer permanent residency, citizenship, or retirement visas to non-native persons. However, this doesn’t mean one cannot retire there as long as permits are consistently renewed every 2-3 years. There are two types of investment visas that retirees can obtain if they wish to stay in Dubai: the business investment visa and the real estate investment visa. Additionally, if a retired adult has a child working in the UAE with a Labor Card and valid residency permit, then he or she can qualify for the dependency visa and move to Dubai with that visa. For the dependency visa, sponsors (adult children) typically need to make at least $65,000 USD per year. 3) SINGAPORE – Like Dubai, retiring in Singapore requires a residency visa through an investment, in most cases. A permanent residency visa can be obtained through a work permit after a year of working and living in Singapore and must be renewed every five years. However, this country is valued for its rich climate, first- world amenities, favorable exchange rate, and the fact that English is an official language of the nation. Retiring in Singapore will require a higher cost of living and given that it’s one of the world’s largest financial and cultural centers; this is no surprise. However, living here is about enjoying the cosmopolitan lifestyle rather than trying to make savings stretch. What options are there for you when looking to retire? The three main ones are to sell, pass the company down to family or to shut it down completely. The latter may seem dramatic and not sound so appealing, especially after years of establishing a business and investing copious amounts of time and money into the venture. 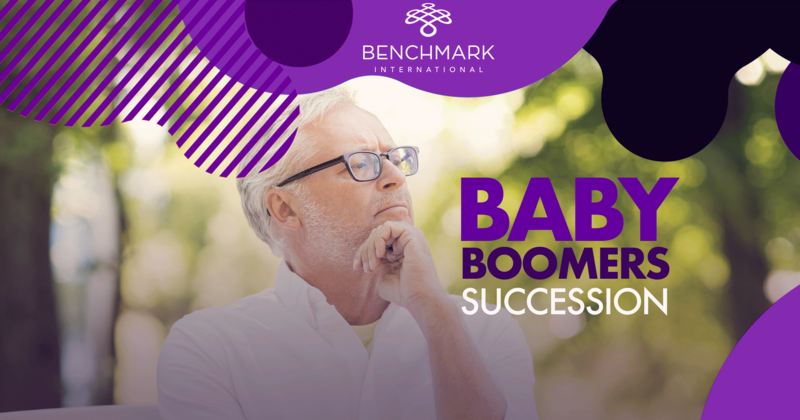 Unfortunately, for the baby boomer generation, it is increasingly likely that this could happen if a well thought-out succession plan is not implemented. The generation after baby boomers, Gen X (typically those born between the early 1960s and early 1980s) are not as numerous as their predecessors. The generation after, millennials (typically born between the early 1980s and the millennium) are generally not yet of an age to take over a business. 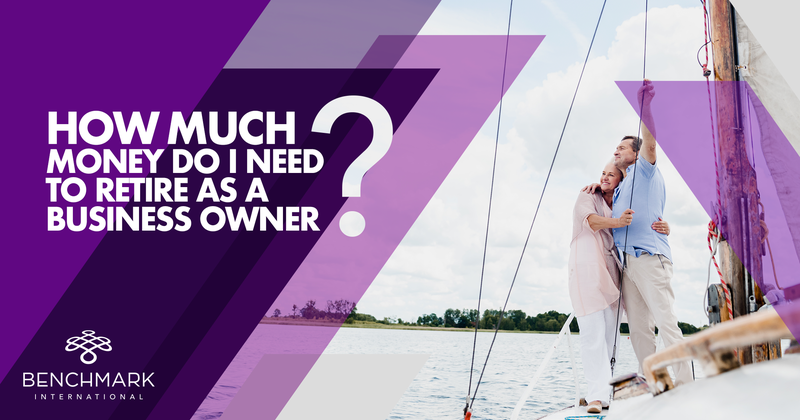 How Much Do I Need to Sell My Business For, So I Can Retire? So, you are a business owner who is thinking of moving toward retirement. How do you do that? What are your options? How much money do you need to sell your business for, so you can retire? These are all questions you need to fully explore when you’re ready to make this transition. You have a couple options if you are looking to retire. First, you need to decide what your ultimate goal is. Do you want to completely exit the business? Or do you just want to take a step back and pin the majority of the responsibility on someone else? It’s up to you how you want your money to work for you and how much free time you want to have.